You can get a Series 1 Apple Watch for only $149 right now at Walmart! This is $100 off the regular price, and is seriously a great price on the entry level Apple watch. 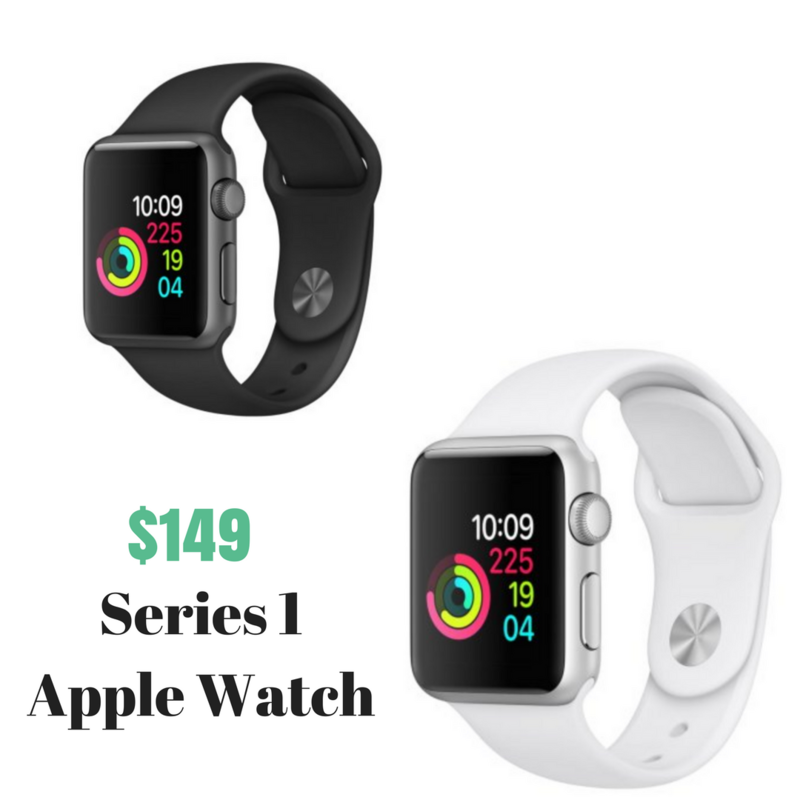 It is available in a white or black sport band for the same price. This is a new watch (not refurbished). Note: The two main differences between a Series 1 and Series 3 (they no longer make the series 2) is that the Series 1 does not have a separate GPS unit in the watch. So if you want to track a run and not bring your phone this watch won’t work for you. The series 1 is also not as water resistant, so no swimming with it. If you want to do everything else other than track runs and swim… go for it! If you really want an Apple Watch Series 2, you can get refurbished models with a 90 warranty for $199 right now with free shipping.